Few things unify America’s 50 states more than our annual celebration of the 4th of July. Independence Day is one of, if not the most important day of our history. It’s also one of the biggest party days of the year, thanks to school being out for summer, many workers receiving a paid day off from their employers, and the inclusion of fireworks, which tends to get nearly every red-blooded American excited. One of the most exciting, unpredictable and memorable places to celebrate a 4th of July is Crouch/Garden Valley, Idaho. All though this may surprise some, it does not surprise anyone who has previously spent a 4th of July with us. The day kicks off with a myriad of family fun events on tap, including an annual Duck Race, a pancake breakfast, a flag ceremony and a dog contest that judges the pooches based on how patriotically dressed they are. Other festivities include children’s games in the park, a river race, an evening parade and a fireworks show produced by the Garden Valley Chamber of Commerce that commences around 10pm. However, the best part of the day is enjoying the madness that stems from combining alcohol, fireworks, food and rednecks. As seen in the video and pictures in this post, the party is always vibrant, and there are always an interesting cast of characters out and about. The downtown area is electric all day, filled with well imbibed persons and amateur pyros setting off their personal firework collection. 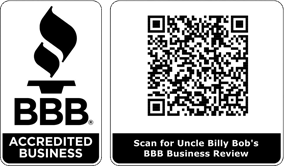 In fact, Uncle Billy Bob’s often recommends to first timers that they should bring eye and ear protection, a flax jacket, a hard hat and fast running shoes in order to be prepared for the downtown scene! The town sheriff stays out of the way (unless something really needs his attention), allowing everyone to unwind, be themselves and enjoy the celebration. One could argue that the best way to judge how much fun an annual celebration truly is would be to gauge how many returnees came back the following year. If you use that measurement as the litmus test, then our 4th of July celebration passes with flying colors! Each year, our cabin rentals are at max capacity, and we already have people calling about July 4th of 2014. Our accommodations are renowned for their comfort, and are in close proximity to all of all the action. We will start taking reservations for next year’s Fourth of July on July 5th, 2013. Give us a call if you would like to reserve your spot, and experience an Independence Day that you will never forget!